Ninety years ago this week a man named Christian Nelson changed the world. Or at least made it tastier. You probably don’t know him by name, but you probably know his creation: The Eskimo Pie. On January 24, 1922 Mr. Nelson patented the Eskimo Pie, a block of ice cream covered in chocolate and wrapped in silver foil. 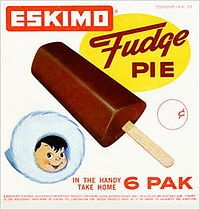 My grandmother loved Eskimo Pies. I guess it’s a small coincidence that she was born the next day. My grandmother was born 90 years ago this week. Grandma Fran always claimed she was “born on the boat” on the way to America from Eastern Europe. She arrived in Northeastern Ohio before the Great Depression and still lives there today. My grandmother has always been a fighter. She raised three children as a single working mother in the 1950s, long before it was commonplace. She fought for advanced medical treatment when her oldest child, my mother, was born with a rare heart defect. Then saw her through a complicated open-heart surgery long before it was made to look routine by the surgeons at Seattle Grace. For reasons beyond my control, Grandma Fran is the only grandparent I ever really knew. And I knew her well. She always lived very close to my family when we were growing up and we saw her regularly. When my parents had obligations or business trips, she stayed to watch my brother, sister and me. She never claimed to be a gourmet cook and could burn a steak like nobody’s business, but she always tried. She was there whenever we needed her. If we called, she answered. Her life was her family. She unselfishly took care of her own mother until she passed away in her 90s. 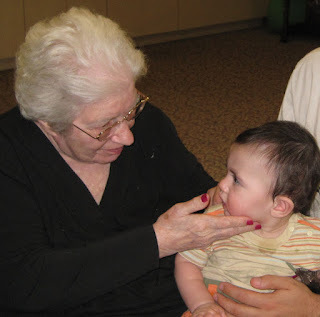 GF became a grandparent in her late 40s and enjoyed every minute of it for decades. She was an adventurer who loved to just pick up and go somewhere like Florida or Las Vegas on the spur of the moment. But she was also a creature of habit that ate lunch at the same place almost daily for many years. Now she is a creature of habit for reasons beyond her own control. Several years ago my grandmother started suffering from dementia. Through no fault of her own, she was robbed of the independence that had been her trademark for decades. Whereas she used to do what she wanted whenever she wanted, now she lives in a nursing facility among others who’ve been dealt the same unfortunate hand. Now she has breakfast, lunch and dinner at fixed times while sitting in the same seat at the same table. Her food is assigned, as is her dining companion. Since I live 2,000 miles away, I don’t get to see her as often as I’d like. But just before every time I do see her, I wonder if she’s fallen deeper into her own thoughts. I wonder if she’ll recognize me or even after I tell her who I am, if it means anything in her brain. She always smiles when she sees me but I wonder if she still remembers taking me to Disneyworld when I was 11. Or taking me to Arizona to experience spring training when I became a baseball nut as a 13 year old. She wasn’t an especially devoted sports fan but knew I was. It was just another selfless deed she performed in a lifetime of them. I’m lucky that BC has gotten to spend some time with my Grandmother when we’ve been in Cleveland. I’m fortunate to have videos and pictures of every time they’ve been together over the last couple of years. Just as she smiles when she sees me, she lights up when she sees my son. She always offers a gentle caress of his arm and a smile. On a couple occasions she’s shared a few words even though it’s obviously not easy for her. For even though she resides in her own world now, she is still giving everything she can to her family. Grandma Fran meeting BC for the first time. Linking up this week with ...come check it out! Love the picture of your grandma with her great-grandson. That's something you'll treasure for years. Lovely. And also love the nugget about eskimo pie - i always forget that those sorts of things had to be INVENTED...they didn't just...come into being. funny. Thank you very much. The interesting thing about the Eskimo Pie patent is that it was rejected a few years later for being too vague. The guy still cashed out, don't worry. I love-love-love it when I read posts about older grandparents from the eyes of their children/grandchildren. This was very sweet. It's hard as they get older - I just heard a story this morning on NPR's "This I Believe" about how after someone is gone they live on in the memories of those family members who loved them - so anyway, waxing philosophic here - long after your Granny Fran is gone she will live on in all the family members she touched. (-: PS: Go visit her. Thanks, Ado. I really appreciate your kind words. Memories and pictures are all we retain, so it's best to get as many as we can while we can. 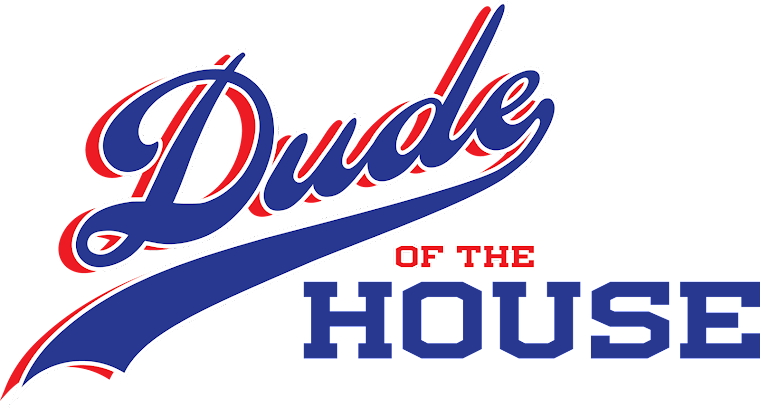 Thanks Karyn, a compliment from you is like an Eskimo Pie on a hot summer day in the Valley. This is great! How wonderful to be able to see two people you love spending quality time together and making memories to cherish forever! Like the Hokey Pokey, That's what it's all about. Sadly, I understand only too much only my Uncle Grampa http://wp.me/p1XBWU-1hU lives only a few miles away so I see the decline often. And when I say often I mean this week he was worse than last week. I had the best best Grampa in the world and he is walking, talking, socializing and making no sense whatsoever, falling, being in appropriate and getting angry. It's so sad. Great post. For better or worse, he's still around so you should make the best of what you can. I know it's not easy, but you seem like a pretty strong person. Thanks for your note. This made me a bit teary... my husbands grandmother (90) just passed away last week. She was such a woman. Reading this and thinking of her I am just amazed at what it must feel like to be 90!! The things you've seen, done, experienced, overcome in your lifetime. Just amazing to me. Thanks for sharing! Thanks Jamie. I was going to touch on some of the awe that 90 years brought over me, but it was hard to put into words. My condolences on your loss. I hate that dementia robs people of their memories. It's beautiful that you are keeping them alive through your blog. Grandmother's are special people. That brought tears to my eyes. Poor GF. Dementia is an insidious mental illness that does not discriminate. My granny was diagnosed with alzheimers a couple of years before death, but it was lung cancer that took her at the age of 73. She, too, was a free spirit and loved to travel from Montana to Florida. Thanks, Amberr. It's the definition of when someone says "it's not fair". Just a cruel fate. Your granny sounds like quite a character. You are fortunate to have such good memories of her. Aw, that's sad and sweet at the same time. It's good you have the good memories of time together. Thanks, Gia. We had plenty of good times for many, many years. It must be very hard to watch someone you know so well and love so much become a different person right before your eyes. I would find that confusing...even though I'm sure it could be explained to me by any number of medical professionals. What's clear from this post is that she has had a great life, has been important to a great many people, and that you love her very much. That's all good stuff. You hit the nail on the head, Christine. It's not easy to watch, but I know that somewhere in there she remember the good times, too. Dude, your post is bittersweet. My Uncle was recently diagnosed with Alzheimers... sadly, it seems to be taking over rather quickly. My heart goes out to you and your family, as GF travels further away. How nice that you can still visit, and she can be with her grandchildren. The picture you included is priceless. Thanks, Lenore. It's an ugly disease and they don't seem to be making much progress on it. The only hope is to somehow slow it down. Yeah, that picture is a great one that the Little Dude will cherish someday. It's so unfair that dementia is robbing your grandmother of her memories. I hope that when you are together she remembers you, and you can remind her of all the fun you had together. It sure looks like she loves your adorable BC. Great picture! Thanks, Kvetch. I'm pretty sure that when she sees me she knows who I am. Fortunately, I always know who she is and am thankful for our time together. Thanks for your kind words. My wife's grandfather was very ill for many years and we wondered if he would make it to see the birth of his first great-grandchild. Not only was he at the hospital for his birth, but he got to spend almost a year getting to know BC. Though BC won't remember Grampy, we have lots of pics of them together. Thanks for sharing. Beautiful tribute. I can relate to hearing the phrase "born on the boat". . .that took me back to sitting around my grandparent's table listening to their stories. It's wonderful that you are documenting your memories here. I always used to laugh when she would use that phrase, but probably because it's such a foreign (no pun intended) concept that we just can't relate to. Thanks for your note. Grandparents are special people indeed. I dearly love mine, and I was heartbroken when my grandmother passed away shortly after our first son was born. I am sorry to hear about your grandmother's dementia. It's not fair. She sounds like a strong woman, though. Thanks, Laura. She's as tough as they come. Though your son won't remember your grandmother, you will always have those memories. LV, Thanks for your kind words. We've all been very lucky. I often wonder what women in that generation were raised on? They seem so much stronger. She seems like quite a lady. She definitely is someone unique. I guess that toughness was inherent in those days. Not as much today. We have a lot to learn. Your grandma sounds like an awesome woman. I'm glad you've been able to have such a good relationship with her and I'm sorry that you have had to go through the loss of a part of her as she has gone into her own world. That's really hard. Thanks. While this part isn't necessarily fun, the preceding part definitely was. I always feel a great admiration for people like your grandmother, who were so strong, and I'm sorry that she drifted into her own world and can't remember the wonderful times she shared with her family. This post is a wonderful tribute to your GF. Thank you, Karin. Though she may not remember, it is our duty to continue her legacy. This post is just one way to do that. Thanks for your note. Oh Dude, what a wonderful tribute to your Grandmother. The picture of her with your son brought tears to my eyes. I just read your tweet that she passed away. I am so sorry for your loss. Thanks, Delilah. I appreciate your thoughts during this difficult time.